Chay and Nithya in Gandhi's film? Home » Our Pick » Chay and Nithya in Gandhi’s film? Chay and Nithya in Gandhi’s film? Naga Chaitanya has been desperately waiting for a hit for the past two years but even his recent flicks Sailaja Reddy Alludu and Savyasachi have also been huge flops at the box office. Savyasachi was a hit on the basis of its content where director Chandoo tried something different. But, when it comes to collections, the movie failed to mint money. Chay is currently shooting for Shiva Nirvana’s Majili, where he paired up with wife Samantha. Majili is their first collaboration together after wedding. The latest news is that the 32-year-old actor is in talks with Merlapaka Gandhi, who has earlier made films like Venkatadri Express, Express Raja and Krishnarjuna Yuddham. It is also said that Chay is going to pair up with Nithya Menen for this film and it is going to be a romantic entertainer. Nithya is currently busy wrapping up her upcoming projects. She is playing Savithri in NTR biopic. She also has Praana, Kolambi and Anandamargam in Malayalam, The Iron Lady and Psycho in Tamil and Mission Mangal in Hindi in pipeline. Among the above-mentioned films, while a few are in pre-production stage, the rest are in post-production mode. 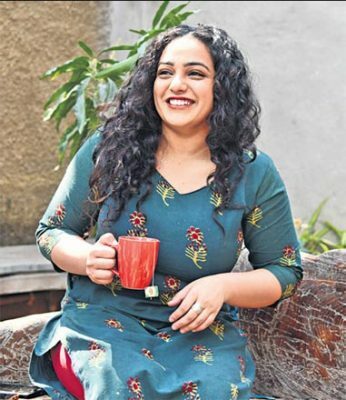 So, once she finishes shooting the yet-to-go on floor projects, Nithya might start shooting for this film. An official confirmation is awaited.